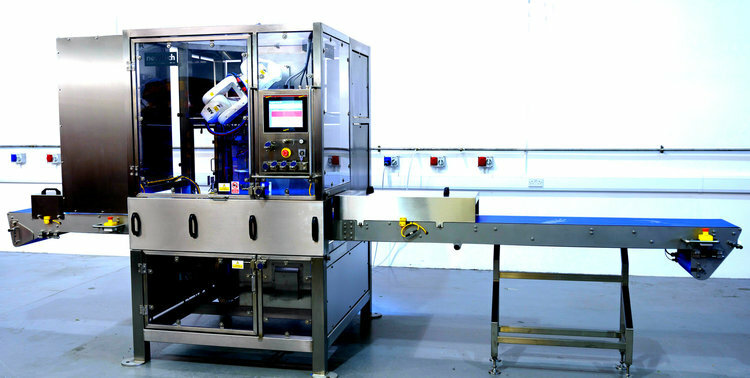 By utilising the latest technology in 2D and 3D vision systems and combining this with robotics, we have developed a revolutionary slicing solution that allows us to portion products on a moving conveyor, increasing slicing speeds without compromising on quality, even for non-uniform shapes. Our 2D vision technology is suitable for foods where calculating depth is not required, for example when cutting sandwiches. Our robot can see the position of the product on the conveyor and cut accurately according to your requirements. If there is an anomaly, such as overhanging filling, the machine will disregard this and will slice according to the actual size and shape of the product. For cutting non-uniform shapes, such as certain types of cheese, our 3D vision technology is ideal. Using volumetric analysis, our machinery accurately calculates the correct weightings regardless of the shape of the product. Additional checkweigher options can also be utilised so that you can be confident in the uniformity of your final product. Take a more in-depth look at our machines to discover more about how our vision systems can help to streamline your processes.